2005 was the year that Australia's iTunes store finally opened. I bought my first iPod towards the end of 2005 after I dropped the MP3 player I had been using and it stopped working. Mind you, the first iPod I bought had to be returned to the store and swapped for a new one since it didn't work, either - but I got there in the end. I still have that iPod (a 60GB iPod Video, which has since been joined by a couple of iPod Touches and an iPhone) - and I'm happy to say it still does the job admirably. 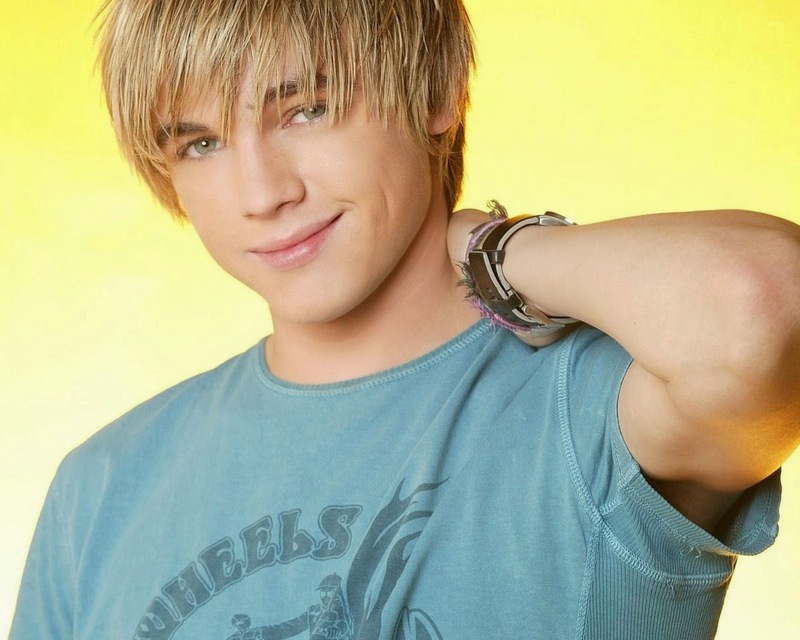 Who knew Jesse McCartney would grow up to co-write "Bleeding Love"? In the '80s and '90s, Levi's commercials were responsible for a surprising number of hit singles, especially in the UK, where inclusion in one of the jeans company's campaigns almost always guaranteed the artist in question a number 1 single. In the '00s, Apple took over that role - specifically with ads for its new iPod range, with this 2003 single by Swedish band Caesars being used to promote the iPod Shuffle. The result: a UK top 10 hit. With Fergie firmly ensconced in The BEP's line-up, the group moved on to their second album as a four-piece, Monkey Business, which featured this Australian chart-topper as its lead single. Combining the hook from Lisa Lisa & Cult Jam's "I Wonder If I Take You Home" with a bunch of other samples and interpolations, "Don't Phunk With My Heart" also hit the UK and US top 3. But, when second single "Don't Lie" (number 75 on this list) didn't do quite as well, especially in the US where it only reached number 14, the Peas opted for the far less subtle "My Humps" and "Pump It" as subsequent singles. That was the beginning of the end for the once-cool group as commercialism trumped artistic merit, and the band became increasingly cartoonish. They still had some good songs up their sleeve, but alongside them were some musical abominations. The long-forgotten British boy band had my favourite song for 2004 and were still managing decent chart placements in the UK, but by 2005, they had lost a member (Peter Smith) and were really only still successful in South Africa. Another member (Nikk Mager) quit in the wake of this single's disappointing UK performance, and a few months later, the remaining three went their separate ways. Fun fact: this fourth and final single was written by Judie Tzuke of "Stay With Me Till Dawn" fame. Blue band-mates Duncan James and Lee Ryan had beaten him to the punch and released their solo efforts first (and second), but Simon Webbe ended up being the most successful member of the group with back-to-back UK number 4 hits with his first two singles, "Lay Your Hand" and "No Worries" (number 93 on this list), and a double-platinum album, Sanctuary. While Duncan and Lee may have peaked slightly higher on the chart with their first offerings, they both had a rapid drop-off in sales that Simon didn't experience for a couple of years. After the success of "Call On Me", "Out Of Touch" and "Stupidisco" (all of which we saw in my top 100 for 2004), choruses and hooks from the '80s were fair game - and one of my favourite songs from 1988 provided inspiration for not one but three different tracks in 2005. The song in question was Boy Meets Girl's "Waiting For A Star To Fall" - and "Star2Fall" was produced by Australian dance act Cabin Crew following a tussle over sampling rights to the original with Sunset Strippers, who'd recorded their own take on the song, "Falling Stars". Unable to get the rights to use a sample of the Boy Meets Girls track, Cabin Crew went one better and had original vocalist George Merrill re-sing the hook. While Cabin Crew and Sunset Strippers duked it out, Mylo quietly went about releasing his own twist on "Waiting For A Star To Fall", combining a sample of that with one from Kim Carnes' "Bette Davis Eyes" resulting in the mash-up "In My Arms". This song began life as the instrumental club hit "Strings Of Life" - which in turn was a cover of the late '80s classic of the same name by Rhythim Is Rhyhim (aka Derrick May) - but it crossed over from the dance floor to the chart with the addition of vocals from Kathy Brown. Kathy had previously been responsible for her own club classic in the form of Praxis' 1994 track "Turn Me Out", which was mashed up with CJ Bolland's "Sugar Is Sweeter" in 1997 to form "Turn Me Out (Turn To Sugar)" and was covered last year by Russ Chimes (making my top 100 for 2013). History lesson over. In a lot of ways, Mary J Blige had always been America's best kept secret, with the successor to Aretha's Queen of Soul title doing way better on the US charts than pretty much anywhere else in the world throughout the '90s (a few UK hits notwithstanding). That all changed with 2001's No More Drama album, which finally saw her land a chart hit or two in Australia. After a dip in fortunes thanks to 2003's Love & Life, Mary bounced back with this lead single from the Breakthrough album, which tied with "No More Drama" to become her second-biggest hit locally. The Grammy-winning song was co-written and produced by Bryan-Michael Cox, who'd also been behind Usher's recent hits, "Burn" and "Confessions". Onto another R&B track produced by an in-demand hitmaker, in this case Rich Harrison, who'd worked on "Crazy In Love" for Beyoncé & Jay-Z and "Get Right" for Jennifer Lopez. Like those two tracks, "1 Thing" used a '70s funk sample - "Oh, Calcutta!" by The Meters - as a foundation and built a thoroughly modern R&B song on top of it, one which sounded like nothing else on the chart at the time. It's not the last we'll see of Amerie in my year-end countdowns, but "1 Thing" was her final solo appearance on the Billboard Hot 100. 2005 was a great year for McFly, who released their second album, Wonderland, and racked up two more UK number 1 singles. "I'll Be OK" was one of those chart-toppers, while the other was that year's Comic Relief single - the not particularly funny double A-side "All About You / You've Got A Friend" (number 146 on this list). Two more singles were released from Wonderland, including the almost rockabilly "I Wanna Hold You" (number 95 on this list). Meanwhile, 2005 was not so great a year for Busted, the band that'd in many ways opened the door for McFly (and traded places with them on the cover of Smash Hits UK for a couple of years) - they announced their split at the start of the year. Dido was between albums in 2005, allowing Welsh singer Jemma Griffiths to step into the fray with a similarly chilled electronic album that featured this debut single and three more songs ("Just A Ride", "Wish I", "Flying High") that appear between numbers 101 and 200 on this list. Previous single "Put 'Em High" featured on my top 100 for 2004, and Swedish DJ/producer Sten Hallström once again teamed up with vocalist Therese Grankvist for this follow-up, which was almost as good. A third single from the Can't Get Enough album featured a name dance music fans would've been more familiar with: Ultra Naté, who sang lead on "Freak On" (number 122 on this list). Once again proving there was more to The S.O.S. Band than "Just Be Good To Me", this track by Dutch trio Rockefeller did to "Take Your Time (Do It Right)" what Richard X's "Finest Dreams" had achieved with "The Finest" - turning the funk/soul classic into a dance anthem. OK, brace yourselves for another club track history lesson - most of which I've only just learnt myself, having never bothered to look into the pedigree of this song before now. UK dance act Freeloaders was comprised of former N-Trance members Kevin O'Toole and Dale Longworth, as well as musician Vinny Burns and vocalist Jerome Stokes. "So Much Love To Give" sampled "Love's Such A Wonderful Thing", a 1977 track by The Real Thing (who'd also released the UK number 1 hit "You To Me Are Everything") - and was based on an identically named track by French duo Together. Phew! You could group the five singles Gwen had released from Love Angel Music Baby by the end of 2005 into two groups: glossy pop - like lead single "What You Waiting For?" (which ended up in my top 10 for 2004) and the Dallas Austin-produced "Cool" - and radio-friendly R&B - like "Rich Girl" (number 61 on this list), "Hollaback GIrl" (number 138) and "Luxurious" (number 190). It doesn't take a genius to work out which type of record I preferred. Having had to rely on Eminem, Avril Lavigne and Australian Idol contestants almost exclusively as Smash Hits cover stars the previous few years, and just as I was getting ready to leave the teen mag, a new teen sensation emerged from the unlikeliest of places: sun and surf primetime soap Summerland. Jesse was one of two cast members who'd go on to bigger things after the show (the other: Australia's Ryan Kwanten), with the teen star's pretty boy looks and cute pop tunes making him an instant teen heartthrob and chart conqueror. Debut single "Beautiful Soul" (number 59 on this list) hit number 1 in Australia, while follow-up "She's No You" also reached the top 10. Then, it all went a bit off the rails, with Jesse's Australian record company choosing "Get Your Shine On" instead of "Because You Live" (number 66 on this list) as his third single and local fans moving swiftly onto the next big thing. Jesse's star continued to shine in the States, with hit singles well into the second half of the decade and more regular TV work (like in Greek and Army Wives). Two of his previous singles, remakes of Corey Hart's "Sunglasses At Night" and "Hot In Herre" by Nelly, had gained some attention, but it wasn't until this track that Canadian DJ/producer Tiga Sontag caught my attention. Once again, Jake Shears from Scissor Sisters (who'd guested on "Hot In Herre") supplied vocals, but despite that group's runaway success, "You Gonna Want Me" didn't set the charts alight in a similar fashion. In Part 3: my favourite Australian band of the '80s found a new lead singer and the owner of my top single for 2001 returned. But, before then, it's back to 1989 for the latest instalment of my look back at the ARIA singles chart from 25 years ago. I was slow to adapt to mp3 players. I had to catch the train to work for nearly a year in 2006-7, and bought a discman (how old fogey of me) for the journey. Although I got an mp3 player (not an iPod though) for Xmas in '06, I stuck with the discman, because I could carry more songs and vary them more easily with data CD's (which my discman played) instead of the more rigid format of the mp3 player (at least for the capacity mine had).